(inner circumference, when closed and measured with a tape cloth). Each inlay measures 1/8″ in diameter. We can offer this design in several additional inlay options – please inquire. 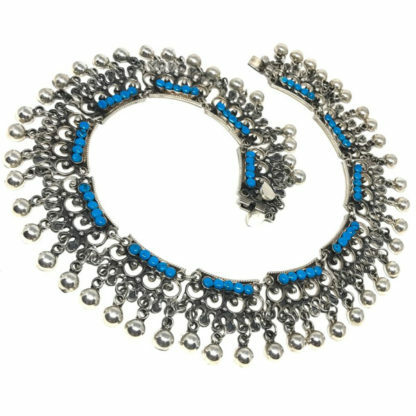 This vintage inspired sterling 925 Taxco Mexico silver necklace showcases a deco scroll and bead motif, complete with turquoise inlays!